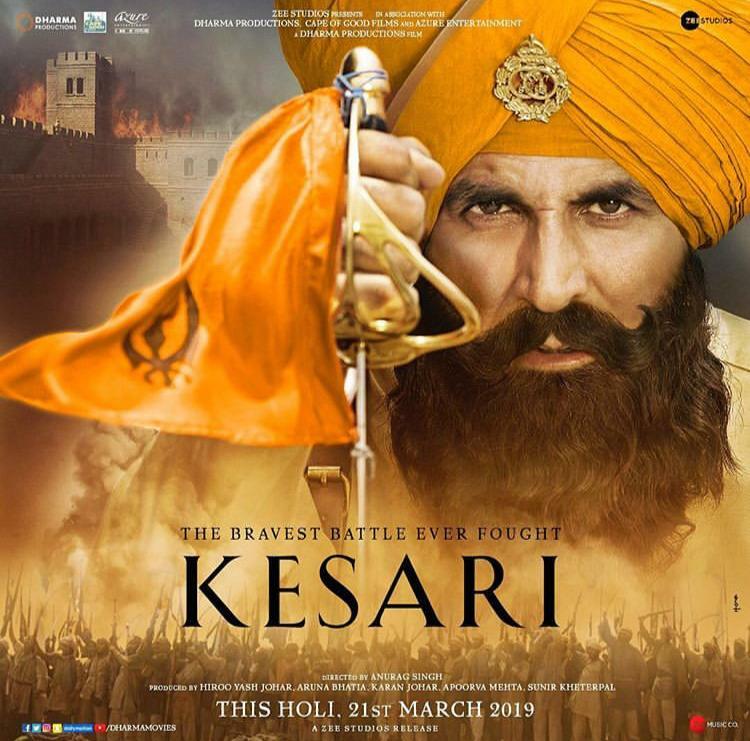 Biznext India : Akshay Kumar starrer periodic drama Kesari, which had a dream weekend, has collected about Rs.8- 8.5 crore on its first Monday. With this, the total collections have touched Rs. 86 Crore in 5 days. However, the collections have dropped by almost 50% on Monday, mainly due to fall in occupancy levels in the West and Southern parts of the country. “Kesari had a fair hold on Monday as it dropped around 50% from Friday to collect around 8.25-8.50 crore nett as per early estimates. The holds are stronger in the North where the drops are around 45% while Rajasthan and Bihar have also held better but the rest of the country has dropped over 50% from Friday” reports bollywood business portal boxofficeindia.com. “The Monday 8 crore nett plus number itself is still good but its going to be that crucial second Friday which will tell where the film is going. the competition is not too strong and that will be a plus” it added.